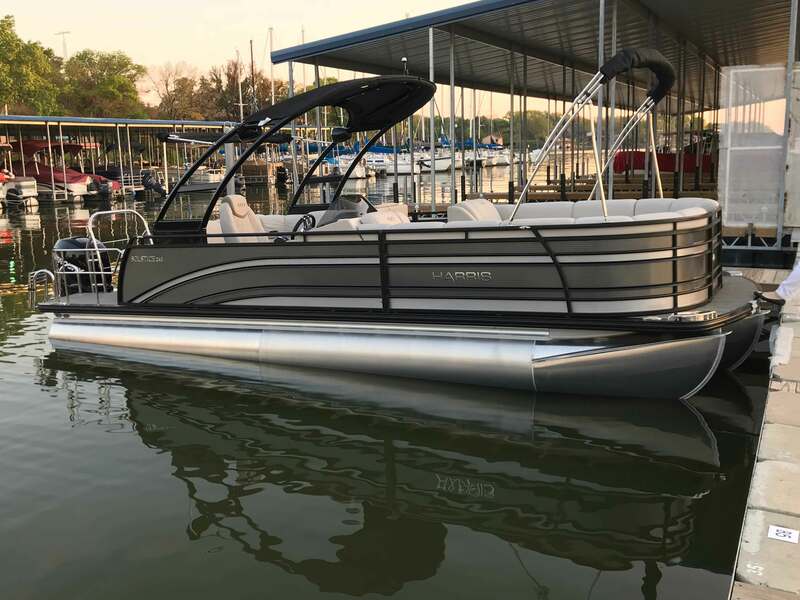 New 2018 Harris Solstice 240 SOL 25'10 TriTune Pontoon Boat 250 HP Supercharged Mercury Verado Engine Wake Board Tower Polk Audio Blue Tooth Audio system with sub-woofer, 8 speakers including tower speakers. Loaded with high end options. Will accommodate up to 14 people. Requirements: Must be 25 years old with a valid drivers license and valid credit card. Driver cannot drink alcohol. Must have 2 years boating experience. Eagle Mountain Lake, Texas just north of Ft. Worth Texas plenty of lakefront eateries and marinas. Lake is great for swimming, fishing, water sports and just hanging out with family and friends.